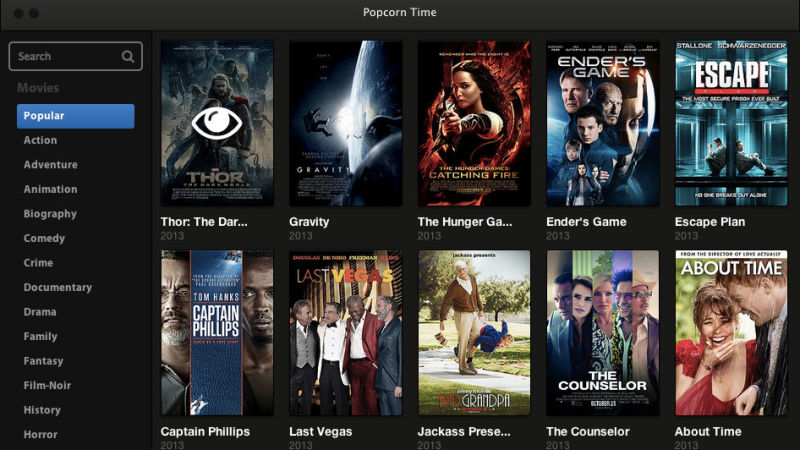 Bad news for illegal streamers: one of the most popular versions of Popcorn Time has been shut down, likely for good. Over the weekend, the Popcorntime.io website — the internet shop front for the most popular of a series of Torrent-streaming apps — has been shut down, reports Torrent Freak, after a torturous week for its development team. Last Monday some of its staff walked out over fears that a forthcoming paid-for VPN service could bring about a lawsuit. Later in the week, the Popcorntime.io domain—which was controlled by one of the members that walked out— began to falter. There are, of course, other Popcorn Time options still available, including Time4Popcorn which you can find at popcorn-time.se. But Popcorntime.io was the most popular, and the one backed by the service’s original developers. Coming in the wake of the swift shut-down of Browser Popcorn, it looks like the days of the Torrent streaming service could be numbered.